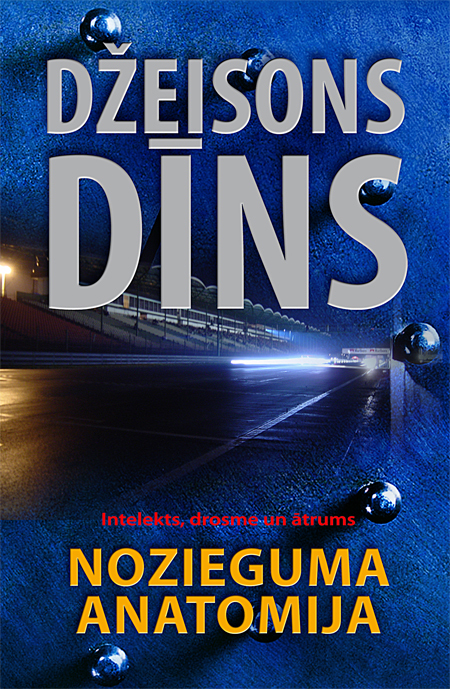 Will continue blogging in a couple of days, but as an interlude here's a pic of the cover to Russian hardback of THE WRONG MAN. Not exactly sure what the image is supposed to be - possibly the prison block behind security fencing - but at least now I know what my name is in Russian! Writing your first novel is never easy. Not for anybody. That doesn't mean the process isn't enjoyable, because often it is. But easy it ain't. And the main reason for this is TIME. Or to be more precise, the lack thereof. Like many new authors, I was still in full-time employment when I began laying down the first words of my first novel. Not a major obstacle, you might think. Work during the day, write during the evenings. Problem solved. Except I was planning to emigrate, and since that took money I was taking all the overtime I could get - which meant I was working very late most weekdays. Once I got home I had enough time to eat, shower and sleep, and that was about it. This essentially left me with just the weekend to write. And while I was still managing to eke out my self-imposed 1000 words-a-day quota on both days, I wasn't particularly happy with the results. Because of the five-day gap away from the keyboard I was finding it harder and harder to transplant myself into the story and get any momentum going. Clearly, the whole situation was less than satisfactory and needed to change. But how? Outside circumstances solved the problem for me. With the worldwide recession rapidly affecting the whole of England, my company was forced to drastically cancel all overtime until further notice. Bad news for most people. Good news for me. My evenings were free again, allowing me to write seven days a week. What could be better? As any author will tell you, if you're serious about becoming a professional writer you have to write every day. Now I was able to do so. It also helped that I was now able to set an achievable target for myself. Weekends stayed the same at 1000 words a day. During the week, I was able to manage 500 words a day. That made 4500 words a week. I worked out that, barring complications, I would have written 120,000 words in about six months. And 120,000 words is a book. I now had a clear quantifiable objective to aim for. I got to work. For the next six months I stuck to the same routine. I'd go to work in the mornings and come back in the evenings and write. At weekends I'd write all day. I hadn't been going out much before, but now I didn't go out at all. As far as I was concerned, any time not spent writing (or earning a living) was wasted time. And it wasn't long before I realized I enjoyed writing, which was a real bonus. Because I hadn't at first. 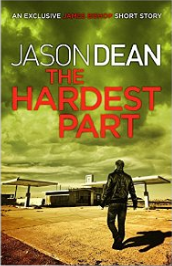 Those first few chapters in particular were painful to write and even more painful to read. Many days I wondered if I was doing the right thing. But I persevered and found that the more I wrote, the better my writing became. And the better it became the more I enjoyed it. My word count steadily rose over the months until I finally got to the third act, the part of the novel I hadn't actually outlined. But that was okay, too. I was confident enough at this point to know I could come up with the final part of the story without too much trouble. I spent a few days staring off into the distance and making lots and lots of notes, essentially brainstorming with myself, until I was able to formulate an ending to the book that felt totally satisfying. Then came the epilogue to wrap up a few loose ends, and right after that came those two magic words every author loves to write: THE END. Well, here we are again with post #2. Told you I'd be back. 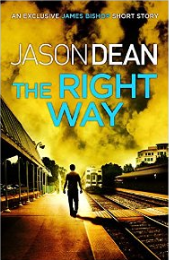 So I thought this time it might be worth talking about how I came up with the idea for my first novel, THE WRONG MAN, and why I felt impelled me to write the book in the first place. The 'why' is very simple. In my previous life I was a graphic designer for a large well-know business directory. It was an enjoyable job, but for a number of reasons I won't go into right now I was planning on emigrating to the Far East and starting afresh. But I wasn't going to do it until I knew for sure I could support myself. I just needed to figure out how. (Believe it or not, there isn't exactly a great demand for graphic designers overseas. Besides which, I really wanted to be my own boss.) Well, suffice it to say that over the next couple of years I tried out a number of business ideas while still working at my day job, but none of them really amounted to anything. Some of us are natural entrepreneurs. Some of us aren't. I clearly wasn't. And then it came to me. I'd been an avid reader for as long as I could remember. I'd always loved going to the library or visiting book sales and discovering new authors. Nothing pleased me more than getting lost in a good novel. So, I thought, why not see if I could write one myself? It really was one of those 'lightbulb over the head' moments you read about. Besides, what did I have to lose? Nothing except time. After berating myself for not thinking of the idea sooner, the next step was to hunker down and figure out the kind of book I wanted to write. That went without saying. 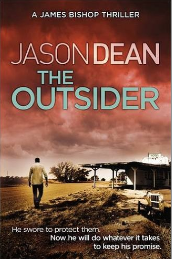 Although I read pretty much anything regardless of subject matter, it was the thriller genre I always came back to in the end. And since my favourite characters were those who'd appeared in more than one book, I also decided to make my hero a series character too. So I began making lots of notes, bullet points really, listing the characteristics and attributes I wanted in my protagonist. At the same time, I began figuring out various set-pieces I'd like to see in a thriller novel. Slowly, very slowly, a story based around a revenge theme began to take shape. Once I knew the direction in which I was going, I needed to then outline the story. Many authors refuse to do this part and just go straight to the writing. And that's fine for them. But not for me. I'm a methodical person and I like to have an idea of what's ahead of me. So I went the 'post-it notes on the wall' route, with each post-it note representing a chapter. I worked on it and worked on it, and a number of months later I finally had the first seventy or so chapters figured out. Kind of. I still hadn't worked out the ending at that point, but I figured that could come later. How y'all doing? So here it is. After no small amount of procrastination on my part, I've finally got my blog up and running. Better late than never, right? 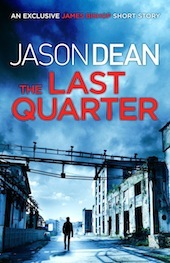 Those of you who've read my books and visited my website - at www.jasondeanbooks.com - will already be aware I'm the author of a series of US-based crime thrillers published by Headline. 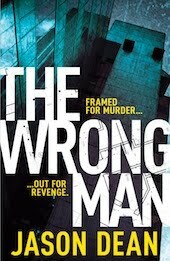 To those who have yet to sample them, the first volume, THE WRONG MAN, published in May 2012, introduced the world to James Bishop, an ex-Marine and elite close protection specialist who after being framed for murder was forced to escape from prison in order to track down those responsible. 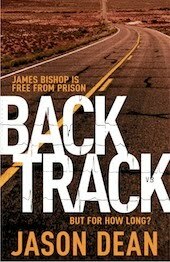 The follow-up, BACKTRACK, came out in hardback and eBook in January 2013, and found Bishop no longer in the close protection business. In fact, he's in the middle of robbing a pay-loan store in Eastern Pennsylvania when the police show up and he's forced to take a customer hostage. 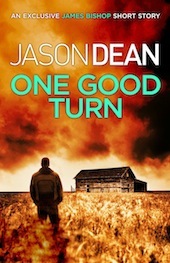 This volume gets its release as a mass market paperback in mid-April - about a month from now. 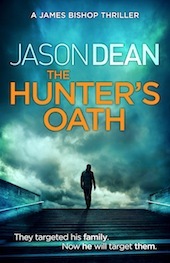 The third, THE HUNTER'S OATH, although completed, is currently undergoing rewrites by myself, while the fourth is about half... Well, let's not get too ahead of ourselves yet. After all, that's the great thing about blogs. You don't have to cram everything into one post. You've got the freedom to space things out a little. So that's what I plan to do. This is only the first introductory post to get things started, but do check back as I plan to post regularly. At least twice a month with any luck. Maybe more. And on a whole variety of subjects, I expect. And I should also mention that you can also find me on Facebook. And I also tweet daily on Twitter, so feel free to check out my official page and don't forget to press the 'Follow' button. So till my next blog post, keep it real!